Jiu Jitsu can be for everyone. However for many the financial burden hinders them from getting started or continuing. 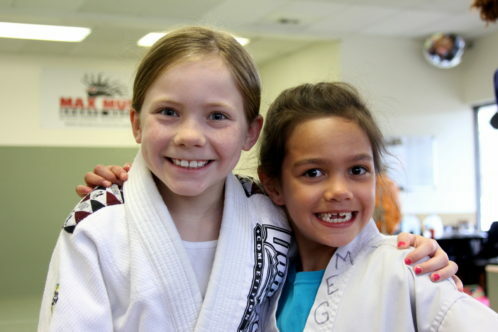 Our goal is to provide women and girls with the opportunity to have open access to Brazilian Jiu-Jitsu. The Girls in Gis scholarship program assists females in achieving their competitive goals, provides tuition assistance and or gi. Our scholarship program is solely based on financial need and is open to females of all levels. You don’t have to have experience in Brazilian Jiu-Jitsu, you just have to have a desire to learn. Scholarships for competition includes competition fees, travel expenses and related cost. Application must be filled out completely and essay must be attached to be considered. Failure to not attach essay will result in your application being denied. If selected candidates can receive compensation for one or more months of training depending on financial need. Those applying for tournament scholarships can receive compensation for one more more tournament per calendar year. Additional documentation may be required. Essay Questions: Tell us about you. Who are you? How can this scholarship benefit you? What are your goals in Jiu-Jitsu? Why should you be awarded this scholarship? How will you represent Girls in Gis? Essay can be written or video. Uploaded files accepted through the application consist of jpg, gif, png, pdf. Video must be sent via msg. Please indicate in your application if you are submitted a video. Make a donation today and help make a girls dream come true!